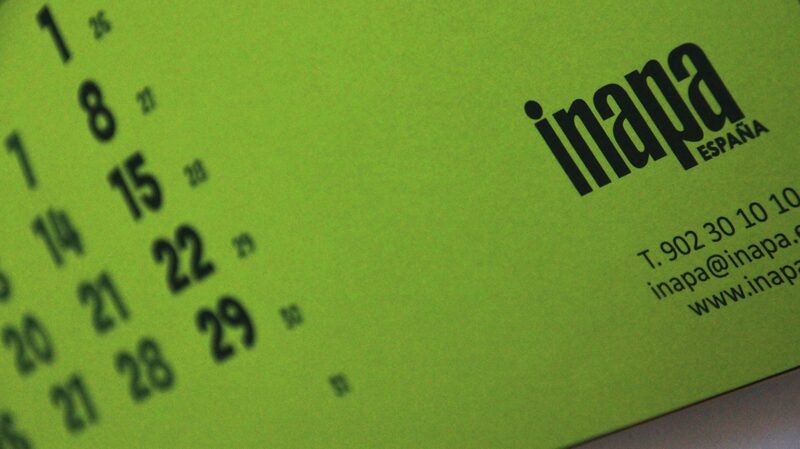 Biel Colomer and Daniel Torvisco, second year students of the Graphic Design itinerary, were selected for the 2019 Inapa Calendar. Through the project, developed in the subject Materials and Technology I, with professor Lalo Quintana, the students created their own designs for the calendar focused on the theme of TV shows. Torvisco’s project was inspired in the show Narcos, while Colomer’s took Breaking Bad as his focus. This project allowed the students to work with different types of papers, finishes and printing qualities, and let them work hand in hand with the company, which gave them the counselling needed in this aspects, being one of the leading companies in paper distribution in Spain.